I love this idea for the bathroom for all of those little hair accessories and miscellaneous cosmetics! It would probably work best for lighter items in the long run (I’m not entirely sure how much weight those adhesive utility hooks hold and for how long), but this idea takes up hardly any space. 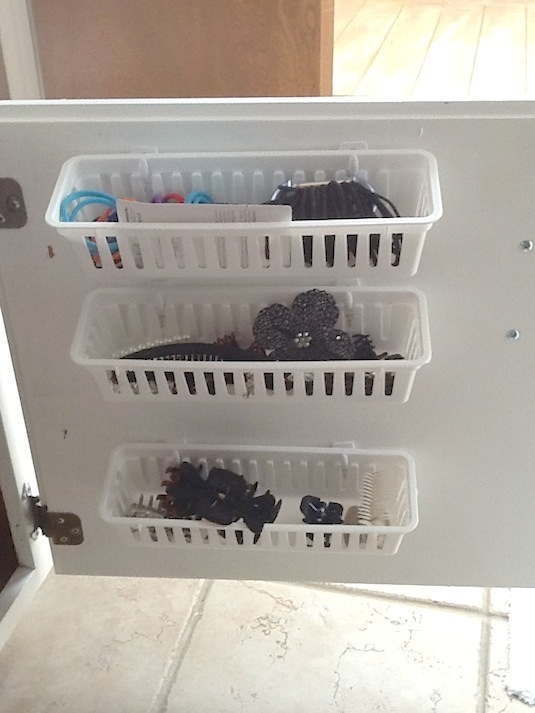 Simply use command hooks to keep the baskets securely hung to the back of a cabinet door. 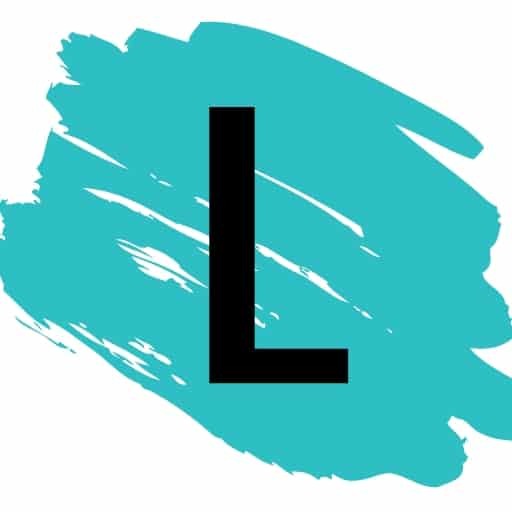 The Blogspot where I found this idea no longer exists, but this seems like a pretty simple DIY project. Why spend the money when you probably have things around the house that will serve the purpose of drawer dividers without the added expense!? Get creative with things like silicone muffin liners, flat tupperware, an empty egg carton, or a shoe box lid. 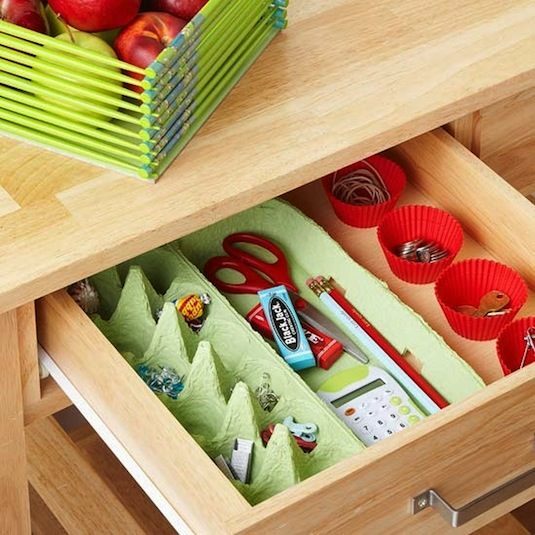 This way you can store all of your little odds and ends without losing them in the back of the drawer. My family goes through a couple of egg cartons almost every week. Lately I’ve been buying the organic Eggland’s Best that come in those clear plastic containers. They are really sturdy and easy to clean — brilliant for storing some of my daughter’s small toys, like her Barbie accessories, pencil toppers, bouncy balls, jacks, etc. 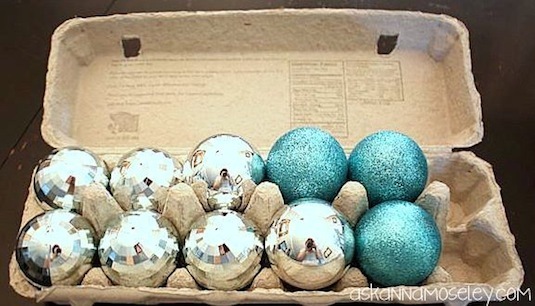 And, because they are made to keep a fragile egg from breaking, they are just perfect for storing your small Christmas ornaments, too!